I am a fierce advocate for women feeding their infant children in whatever way works best for them, whether it's from a bottle or from their breasts. That said, I think this video "Teach Me How To Breast Feed" (based on "Teach Me How To Dougie") is awesome. Catchy tune + solid breastfeeding information + cute babies = total win, especially for National Breastfeeding Month! Warning: There are images of human breasts (as well as baby poop) in this video. Breastfeeding, as you undoubtedly already know, is beneficial in a myriad of ways for both mothers and babies. It seems like there's been a new study released about the benefits of breastfeeding every other week this summer. But that doesn't mean it comes easy to either newborns or their moms. 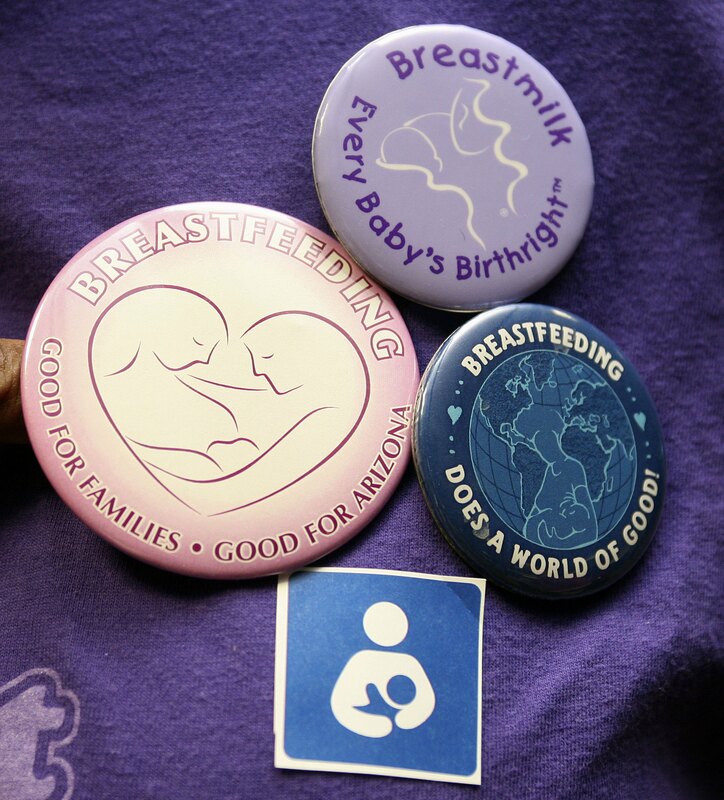 Breastfeeding is a highly personal (and often political cough cough Bloomberg) issue that's different for every woman, every baby, and every family. Still, I really appreciate the good humor and positivity that the creative women behind "Teach Me How To Breast Feed" bring to their video. I especially dig how the lyrics to the song are actually focused on giving mothers the information they need to successfully breastfeed, especially in the first few days. It's obviously not a replacement for a lactation consultant, but hey, it can't hurt! I have to say I was definitely not expecting to see used diapers by breastfed babies prominently featured alongside the babies themselves, but, you know, keeping track of what comes out of your baby's digestive tract is a part of breastfeeding and of motherhood. Despite the very real (and always increasing, it seems) societal pressure to breastfeed, lots of women have never seen a baby latch on to a breast before they have their own child. I love that this video shows babies actually at their mother's breasts, as well as ladies just jamming and and dancing with their kids. It's also worth mentioning that Urban Matriarch's video is narrated by a woman of color and also features quite a few other women of color — the CDC's latest report shows, unsurprisingly, that white women are considerably more likely to breastfeed than minority women. One little video isn't going to change that, but increasing the visibility of women of color breastfeeding their babies via a creative song spoof doesn't seem like a bad thing. Prepared meals and adorable onesies are still useful gifts for postpartum moms, but I'd also consider loading this music video up on my phone the next time I go to visit a friend who's just had a baby. It's cute, useful, catchy and just might give her three minutes to forget about all that sleep she's not getting.